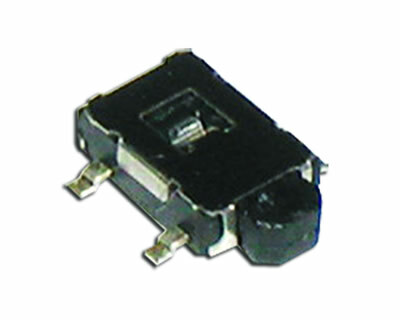 Small in size, the CS1206 tactile button switch is right angle and surface mount, SPST and momentary. Actuation force is 200gF with travel of .30mm. 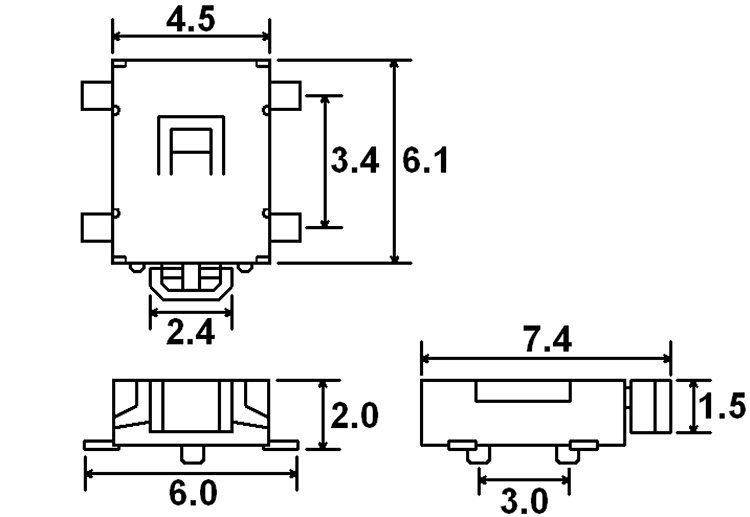 The body size is 4.5mm x 6.1mm with gull wing termination.